dale the rat hunter. king of the colline. Wallpaper and background images in the King of the colline club tagged: fox cartoons the simpsons king of the hill futurama hank hill homer simpson bender fry dr. zoidburg. This King of the colline photo might contain costume d'affaires, costume d’affaires, bien habillé personne, costume, costume pantalon, tailleur-pantalon, pantalon costume, pantsuit, personne bien habillé, and pantalon de costume. 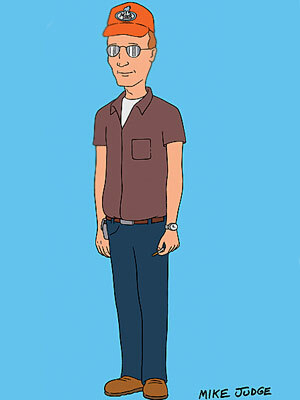 King of the Hill is good adult cartoon.